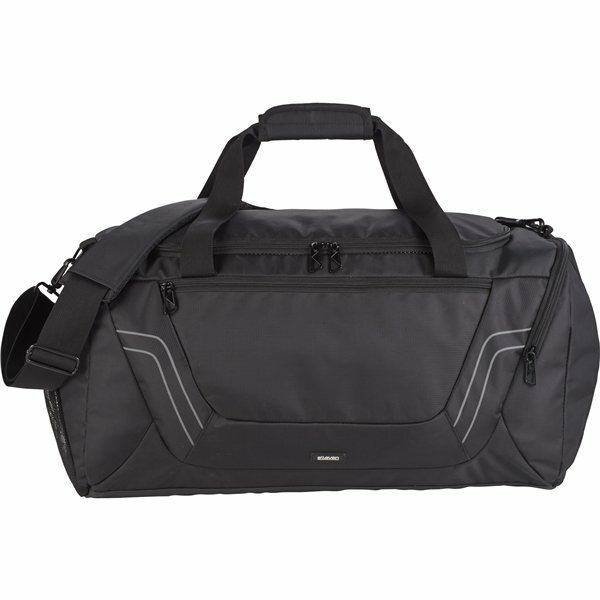 The elleven Arc 21" Travel Duffel transitions from sport to travel with ease. It includes a cleverly integrated vented center shoe pocket, front and side zippered pockets and an interior zippered storage pocket. Subtle reflective accents keep you safe at night. Wherever you’re going, this is your go-to bag.